Attending the Irish Christmas Concert Friday, December 2nd? Worried about getting the family dressed, fed and to the sanctuary in time to get a good seat for the show? The Men of Faith have you covered. 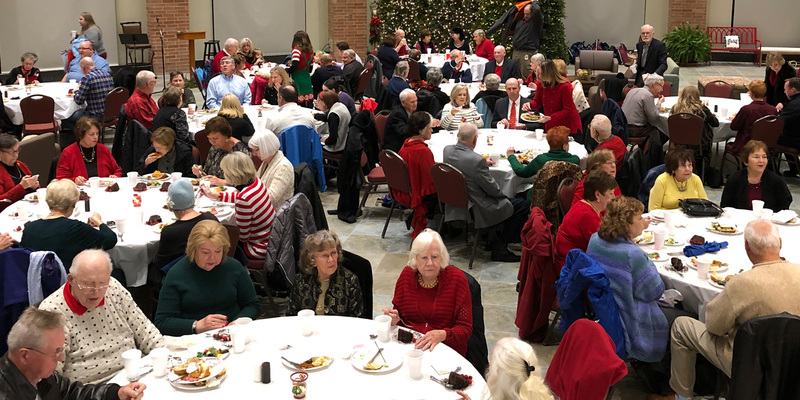 Register for the Christmas Concert Dinner and not only will you receive a roasted pork loin dinner with sides and dessert, you will also have good seats reserved for you in your ticket section of the sanctuary. Dinner reservations are $15 per person and will be served in the Bartula Family Life Center. Proceeds go towards student scholarships and ministries supported by Men of Faith. Reserved concert seats are limited to the number of people in your dinner reservation. Reserved seating vouchers will be provided at dinner check-in and will be required to access the reserved sections in the sanctuary.